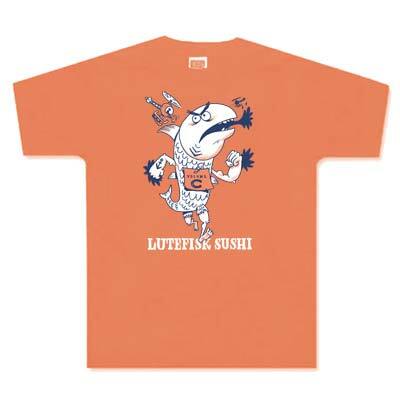 Print Your Own Lutefisk Sushi T-Shirt! 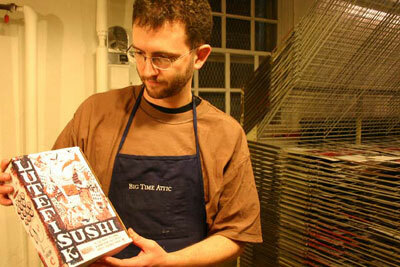 Kevin Cannon has instructions and files for printing your own Lutefisk Sushi t-shirt for our upcoming Lutefisk Sushi Volume C show (May 2, Minneapolis) here. I hope we’ll see a lot of these at the show! He also posted some photos from the box printing they did last night. Here is the proud poppa below. Thanks much to Shad, Kevin, and Zander for printing these! I can’t wait to see the boxed in person!